I look around at my daughter’s teachers, full of knowledge, wise words on their lips and kindness in their steps. I see those teachers and I think about the other kind of teachers that I once knew. My teachers rushed in and out of the classrooms, women with the heavy responsibility of molding twenty-six young souls while balancing pregnancy and life. Some were young and some were old, but none had ever considered a degree in education or even attended university or college. They came to teach us dressed in blacks and navy blues, embodying the modest wife and perfect mother that someday we girls would turn out to be. They taught us what we could do and where we could go, how we should speak and what we should wear, what was important and what to ignore, but they never taught us how to question and think. We were a school of girls who dressed and looked and talked the same. Girls with the lofty goal of someday earning the privilege to work long hours to support a husband in his everlasting study of ancient books about sheep. Girls who had never looked a strange man in the eye, who knew nothing of firm handshakes and soft kisses, girls who wanted to raise a normal-sized family of at least eight children. It’s hard to see what lay within my grasp, the kind of school I could have gone to, had I only opened my eyes and stretched my arms and legs, thirty-three miles and a million years away. If I had gone to this kind of school, I could have had real wishes. I could have played fencing and tennis and made television broadcasts in both English and French. I could have learned science in a lab, run laps on a track, eaten lunch in a lunchroom. If I could have gone to this kind of school, I wouldn’t have been quiet about the radio I listened to or the books I read. I would not have felt ashamed of wanting to know why and how, or of trying to understand my place in the world and my role in my life. I would not have been one of only two girls who took the SATs and I would have collected the college applications because they led to the future, not because they matched my sheets and looked cool on my walls. 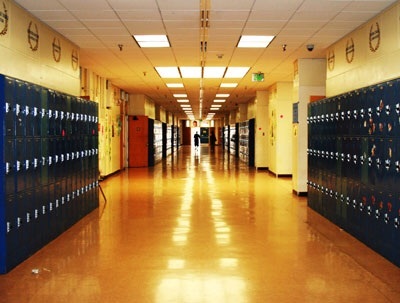 I think about what could have been, as I see my daughter walk through her halls. I see myself, my hopes and wishes alive today as I watch my child. I wish her to be not afraid to find herself – free to live a life in a world that spans a broad horizon. I wish her the words I never spoke, the dreams I never knew to dream. I wish her the chance to learn and love, the chance to study and sing and smile inside. And as I keep her safe from the stifling world thirty-three miles and a million years away, I give her my wishes and I watch her fly.